An ammeter has a resistance of 50 ohms and a shunt of 0.01 Ω. The deflection is θ. If the shunt resistance is increased to 0.02 Ω, the deflection will be. 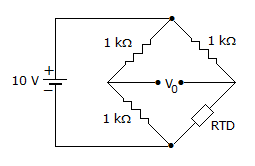 Wheatstone bridge is suitable for low resistances. The accuracy of measurement by ohmmeter is very good. Which of the following does not use the principle of change in inductance? Which of the following methods can be used to measure power in a single phase circuit without using wattmeter? Moving iron instrument can be used for ac only. The dead zone in a pyrometer is 0.125% of span. The calibration is 400°C to 1000°C. What temperature change might occur before it is detected. Assertion (A): A low power factor wattmeter has special constructional features to ensure accurate measurement. Reason (R): Extension of wattmeter range in dc circuit can be easily done by using current and potential transformer. Four voltmeters have following specifications. If accuracy is main consideration which is the best? DC ampere hour meter is an indicating instrument. Hay's bridge is suitable for inductances having low L/R ratio.